Every year the skies above the Indian state of Gujarat become a playground of swooping, soaring, colourful kites as the International Kite Festival comes to town. People come from all over the world to show off their flying skills and their kite creations, for a whole week of aerial acrobatics and a jolly good time! One of at least 200 festivals celebrated in Gujarat, the kite festival is one of the biggest – the 2018 celebrations are due to kick off any day, from the 7th to the 14th of January. Held annually in January, if you get practicing now, you might be ready for 2019! The festival is part of the celebration of Uttarayan, which falls on the 14th January every year, the day in the Hindu calendar when winter recedes and the summer begins, bringing with it a good, stiff kite flying breeze. There’s no particular reason for flying kites, though it is said to have been a sport very much enjoyed by kings and Nawabs in the past, it’s is a tradition that’s said to have been going on for centuries. 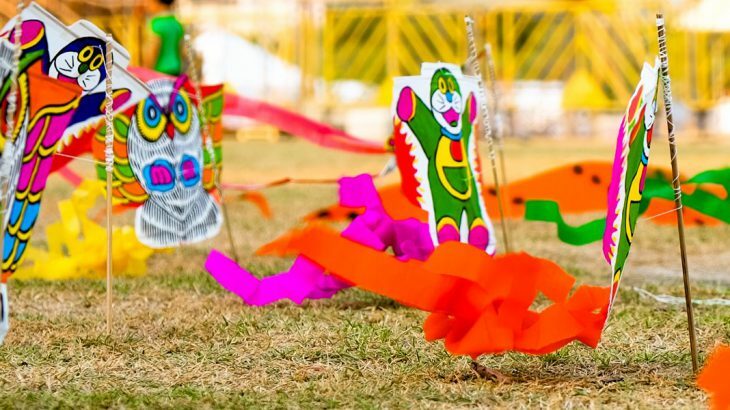 The kite festival brings together all of the residents of Gujarat, be they Hindu or otherwise, so it’s the perfect place to add on to any holidays in India to be able to interact with locals from all walks of life, all having fun together. Kites, lots and lots of kites! They come in all different shapes and sizes and from all over the world. For those of us who are up on our kite lingo, there may be wau-balang kites from Malaysia, huge banner kites from the USA and Rokkaku fighting kites from Japan, alongside many other local, national and international offerings. During the week, there are kite fighting tournaments, where competitors attempt to cut each other’s kite strings, night flights with twinkling lights and plenty of kite markets. With hundreds of people buying and selling kites, these markets spring up everywhere – people even set up small shops in their homes, selling their homemade kites. 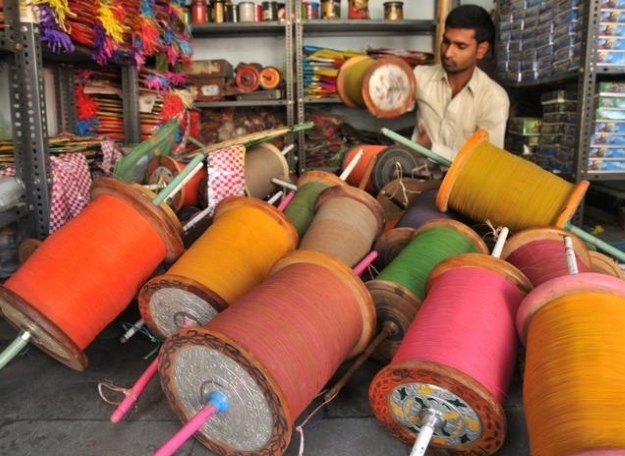 The biggest market is in the city of Ahmedabad, Patang Bazaar, and is open 24 hours a day during the festival week, doing a roaring kite trade. Oh, and the best place to simply enjoy a sky full of kites is from the Sabarmati Riverfront, also in Ahmedabad. What else is in Gujarat? The state of Gujarat, on India’s west coast, shares a border with Rajasthan but is an area that remains blissfully off India’s international tourist trail. It is an area full of culture; being on the Arabian Sea it has a great history of seafaring, has made a great contribution to India’s literature and has a special place in India’s heart as the state where Mahatma Gandhi was born. As mentioned above, it’s also a state that loves a party, with over 200 festivals celebrated every year. Gujarat’s largest city, Ahmedabad, as well as being the best place to enjoy the kite festival, also boasts great architecture and a great food scene. In the more rural areas, Gujarat is home to tribal villages full of traditional artisans who produce some of India’s finest textiles. It is also boast four national parks and 21 sanctuaries and is the only place on the planet that you’ll find Asiatic lions in the wild, in the Gir Forest National Park. 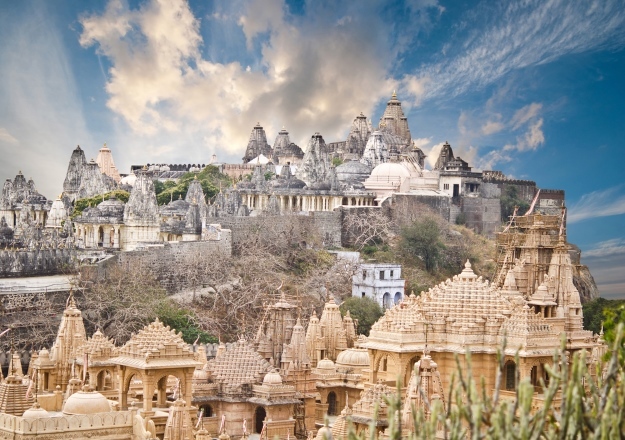 There’s also some incredibly beautiful Jain and Hindu pilgrimage sites, such as the Palitana temples, pictured above. So, if you fancied spending a couple of days enjoying the International Kite Festival, there’s plenty of other things in Gujarat to keep you entertained whilst you’re there! Book an escorted tour to India with the UK’s leading Asia Experts, Wendy Wu Tours or create your very own Indian adventure with our one of our wonderful tailormade team – if you’d like to include the International Kite Festival on your itinerary, you just have to ask! We also do tours and holidays to Vietnam, Laos, Cambodia, China, Japan and South America. India adventure, culture, festivals, top things to see. permalink.